The following comments about attractions in Lake District have been posted from individuals. We believe that the best reviews of Lake District, England are written by travellers and holiday makers who have experienced Lake District first hand and want to share their thoughts. Can you share yours? 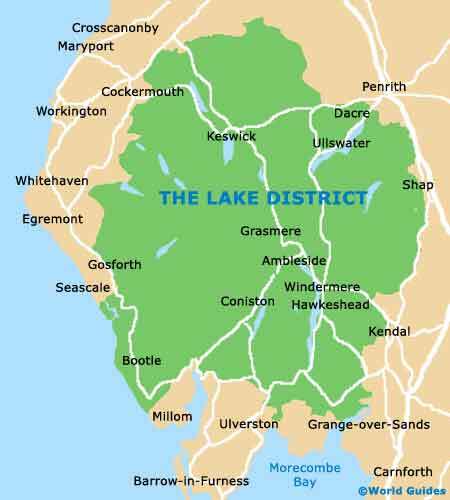 Please help us expand this section of our Lake District World Guide. Let us know what you think about the attractions in Lake District, England. Submit comments about Lake District attractions here. Last week I was lucky enough to visit The Lake District. I decided it would be nice to visit the pencil museum. It's a brilliant place to go on a rainy day if you were looking for somewhere to spend your time. It's very interesting and the staff are extremely friendly and very helpful. The shops have great stocks and is perfect if you are an artist or interested in art. That sounds like a great idea. We were on a tight budget so we couldn't rent a car and we also heard that there are parking restrictions and high fees in some towns. Instead we traveled the area by bus but it was more difficult because we had to carefully plan our trip to fit in with the bus schedule and the buses didn't go to some of the areas we really wanted to visit. Next time we will try the train. We took the coastal railway to explore many hidden villages between Carlisle and Barrow-in-Furness. There weren't many tourists and it was great to experience daily life in a local village. We went exploring by bicycle and stopped at charming restaurants along the way. The best part was that we could catch the train back after an exhausting day of cycling. We were lucky that there was no rain but it is advisable to be prepared for bad weather. Enjoyed walking in the national park and there were many paths to choose from including more strenuous hikes through the mountains. Take a map to make it easier to find your way around. The lake was so beautiful that we just had to go on a boat trip. We chose Windermere Lake but there are also boats on Ullswater and Coniston.